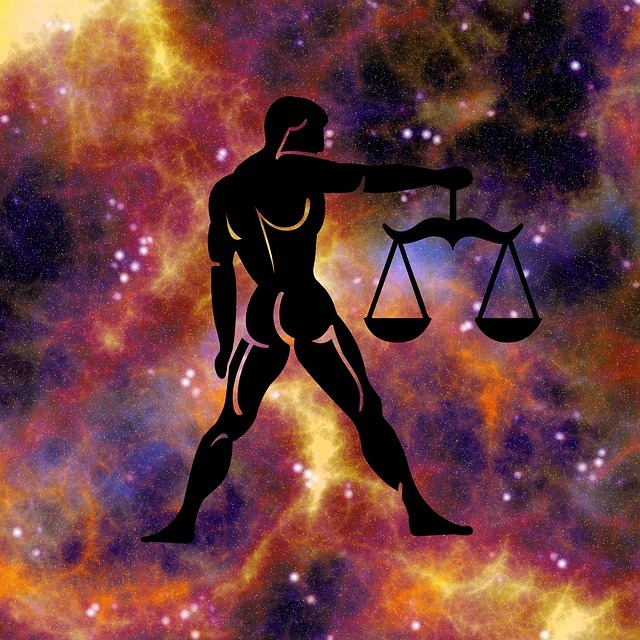 Weekly Libra horoscopes for the 22nd-28th April 2018 – with a difference! We tell you the planetary weather, and you decide how you will plan around it! Will you take an umbrella? Will you dance in the rain? Or will you fall in a puddle? Same weather, different outcomes! This astrological weather report for the 22nd-28th April 2018 is for people with predominantly Libra energies in their chart. For example, this could be if Libra is your sun sign, rising sign, or moon sign. By seeing what zodiac sign the moon is traveling through, we can work out which areas of life you will instinctively reflect upon for a day or two. Moon is opposing Mars and Pluto retrograde in Capricorn. Aggressive power struggles at home, with parents or relatives, may make you feel as though you are restricted when trying to achieve your life goals. You may be reflecting this aggression, so utilize self-awareness. Moon squares Uranus in Aries. The unpredictability of a significant other may cause you to feel as though you don’t know where you stand in regard to your goals in life. You may be reflecting this unpredictability, so utilize self-awareness. Moon trines Jupiter retrograde in Scorpio, and sextiles Venus in Taurus. You may feel optimistic that you have ample resources to achieve your life goals, and you feel more confident that you are overcoming some of your inner demons via sticking to your authentic values. Moon trines Mercury and Uranus in Aries. You may enter into great conversations with a significant other, while out socializing together with a group of friends. They may try to clarify some of their unpredictability. You may see how you are guilty of doing the same! Moon squares Jupiter retrograde in Scorpio and squares Sun and Venus in Taurus. You may be feeling confident financially as it is likely you have benefited from some kind of inheritance or financial assistance. This may be brief in nature, so be careful not to gamble it on unnecessary material items to impress friends. Additionally, the moon is in the first quarter, which means that your soul is evolving in the area of how your intuitive methods of dealing with your fears and experiencing intimacy reflect in your instincts to accumulate material resources that you value. At this time, your instincts are juggling this paradox concerning how you feel you fit this within the fabric of your greater community. Moon square Venus in Gemini. Spending time in solitude, you can reflect upon and contemplate what exists outside of the box of your current reality. Consequently, this may remind you that there is compassion within the bigger picture, even though it may not yet be in reach. Moon trine Sun in Taurus, and sextile Jupiter retrograde in Scorpio. Spending time alone can help you audit those things that you own, to contemplate if they hold real and lasting value. You may either literally or metaphorically clear out the old and worthless things which remind you of what you fear. Moon trine Mars, Saturn retrograde, and Pluto retrograde in Capricorn. Aggressive power struggles with relatives may cause you to hide away and seek time out alone, so not to further any negative energy. Moon trine Venus in Gemini, and opposite Mercury in Aries. Conversations with a significant other may at first feel meaningful, but ultimately their unpredictability unnerves you. Moon square Saturn in retrograde, Mars, and Pluto in retrograde in Capricorn. Aggressive power struggles with relatives may cause you to feel restricted in expressing yourself and may cause you to feel moody.